THE REASON for the severe flooding in the Housing Development Corporation (HDC) community of Greenvale Park, La Horquetta will be assessed by the Works Ministry, the Prime Minister has announced. He was speaking on Thursday at the post-Cabinet media briefing held at the Diplomatic Centre, Port of Spain. He said Greenvale is Phase 5 of La Horquetta and the further down was lower areas and more exposed to the river. He reported he was told Greenvale was so heavily impacted because the drain off from Phase 1 to Phase 3 from Arima between Phase 4 and 5 an engineer or someone attempted to make a right turn on the water course so an elbow was created. He said residents reported how quickly they went from not being flooded to waters up to their shoulders and every single house was impacted and placed in great danger. He also reported the electricity at Greenvale is supplied by underground conduits and all were impacted by the floods. 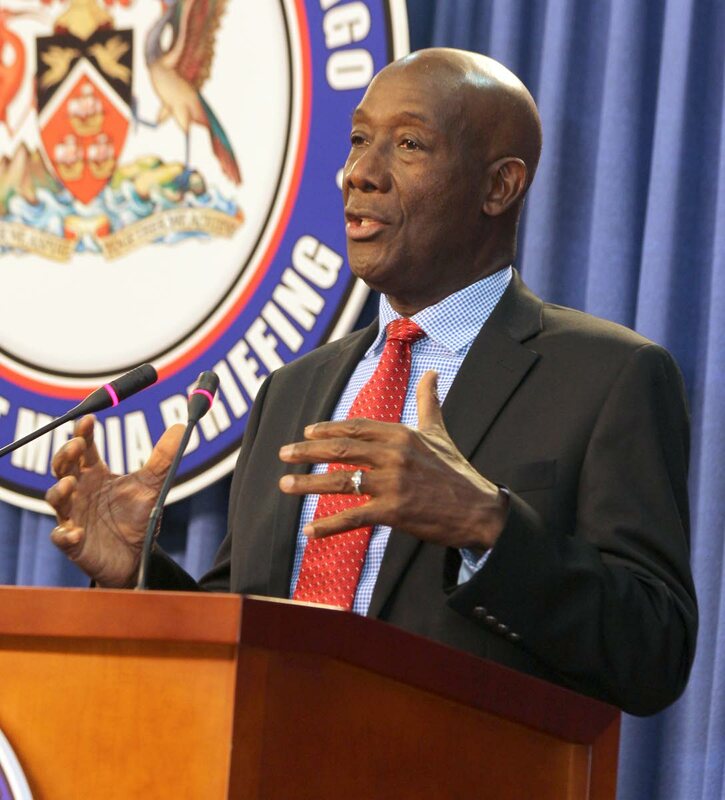 Rowley said the Housing Ministry had communicated with the Trinidad and Tobago Mortgage Finance Co to have a deferral of payments until January. Rowley said people try to find places to live in the country and at the planning level there is a need to be more circumspect in occupying areas prone to that kind of flooding. He added, however, that nothing could be done about built-up occupied areas. He said there was an issue with lack of enforcement by the Town and Country Planning Division and unplanned settlements. Rowley said the country needed to do better because the laws were there for a purpose. He pointed to the case of a tree falling on a car in his constituency and he recalled he complained about someone digging a hole in the bank trying to build a garage. Rowley also spoke about the TT $4 million accepted from Caribbean Development Bank, the Inter-American Development Bank and the Development Bank of Latin America. He said one of the banks instructed how the money was to be spent while another left it up to the Government. He said other relief offered was mostly relief of concern and countries like Dominica was not in a position to provide assistance. He reported the $25 million allocated for flood relief was an initial sum and if it is not enough adjustments will be made. Reply to "PM: Greenvale to be assessed by Works Ministry"